Are your Phoenix Sunscreens Pet Proof? Many Arizona residents currently have some type of sun screen over their windows. Whether they are old, new, black, or brown, not all solar window screens can hold up to the pet abuse from cats and dogs. Some sunscreens have a fiberglass weave that is brittle and easily damaged. Although they do what any other sunscreen does, you may have a big dog, or a curious cat that is seconds away from destroying your window or door screens. Vinyl Coated Solar Window Screens are the Solution! Most new solar screens are considered pet or child resistant. This is because the new sunscreen material is a vinyl-coated polyester weave that can withstand a considerable amount of abuse. The sun screen fabric has a memory, and in most cases will return to its original state when stress is applied to it by either a dogs paw, a cats loving, or even a children’s toy. Although it is still a fabric, and can be cut with sharp objects, the sunscreens are quite durable when it comes to blunt objects pushing or leaning on them. A good Pet Proof Screen Starts with the Frame. Despite how stong the new sunscreen fabrics can be, if you do not use a stong and sturdy window or door screen frame, it won’t matter. Industry standard sunscreen frame is 1″ x 7/16″ extruded aluminum. Anything less is not enough. Using a less than standard size frame decreases the integrity of the entire sun screen and makes it much more likely to get ruined if pushed on by a pet or human. 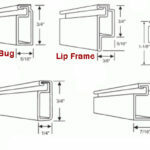 Small frames are typically also thinner material which means the sunscreen frame will bend or even break when pressure is applied to the sunscreen material. A good pet resistant solar window screen comes with a strong frame. Most common ways to accidentally Destroy A Sunscreen. There are several different ways that a sun screen window or door can get ruined. The most common pet related sun screen door accident is when your dog is inside the house, and decides to run after a moving object in the back yard. With a pet resistant frame and material, unless you have a Great Dane, you are most likely just going to have a confused little puppy. Another common solar sunscreen accident is caused by outside pets that want to come in. They push, paw, and scratch to get your attention, while destroying the average sun screen. 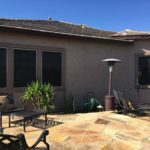 Vinyl-coated solar screens withstand well against these and many other instances where the average solar sun screen would fail. Keep that in mind next time you go to purchase Sunscreens for your home if you have pets and/or kids.